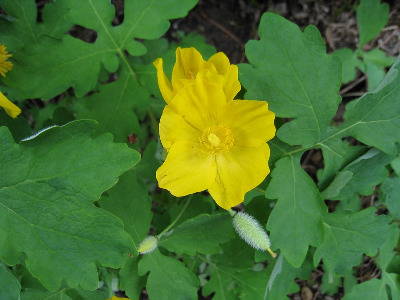 This is our only native yellow-flowered poppy. The distinctive fat-ellipsoid fruit with hairy body and long beak well distinguishes it from all other species we have in the family, native or not. The leaves are very pale beneath. The petals are 17–30 mm long. Chelidonium majus L. has very similar foliage but smaller flowers and slender fruit. MICHIGAN FLORA ONLINE. A. A. Reznicek, E. G. Voss, & B. S. Walters. February 2011. University of Michigan. Web. 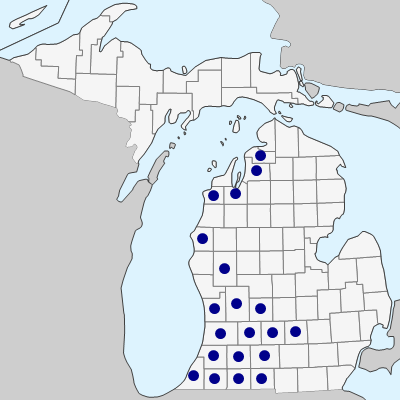 April 22, 2019. https://michiganflora.net/species.aspx?id=1902.